It's British Hedgehog Awareness Week from May 3rd- 9th. This year the event focuses on us gardeners and just what we can do to help our spiky friends. In return they help will gobble up the slugs in your garden before they can eat all your crops. Hedgehogs are getting rarer and rarer in the UK. Way, way back in the 1950s (almost in prehistoric times really!) there were about 30 million of them but by the 1990s there were only 1.5 million. They are nocturnal which means they are awake at night. They are great explorers and can travel between 1 and 2 miles in a night whilst looking for food. 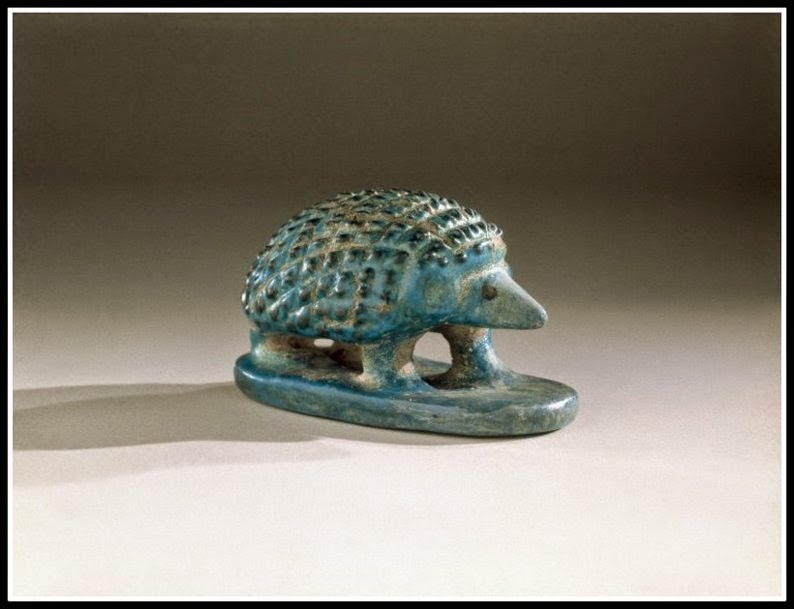 They walk at about 2 miles an hour but the Usain Bolts of the hedgehog world manage 6 miles an hour over short distances. They use special muscles to make their spikes stand up. They have really baggy skin that they pull forward over their heads as if they are doing a really, really big frown. At the same time some other muscles pull the skin over their bottom. They can keep their 5000 spikes up for hours at a time. 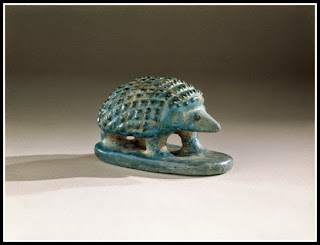 This hedgehog is even older than my parents- it was found in an 3800 year old Egyptian tomb! We can make sure hedgehogs can get access to our gardens. They only need a teeny tiny 10cm gap somewhere. We should check areas before strimming or mowing longer grass and check compost heaps before digging in a fork in case a hedgehog is hiding. Carefully check piles of rubbish and dead leaves before burning it. Reduce the use of pesticides and slug pellets used. These can harm hedgehogs but also reduce their food supply. Try to use environmentally friendly water-based wood preserves as hedgehogs lick freshly treated wood and other preservatives can harm them. 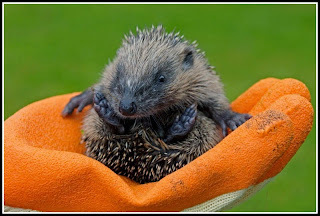 Make sure deep holes or drains have covers to stop a hedgehog falling in. Ensure any ponds have a gentle slope to allow hedgehogs an easy route out. Keep unused garden netting rolled up and off the ground. Make sure pea netting is high enough off ground to allow hedgehogs to pass underneath. Hedgehog footprints look like my handprints! Log piles. These are the perfect B&B for hedgehogs providing shelter for breeding and hibernating as well as lots of insects to eat. Compost heaps also provide shelter and creepy crawlies to eat. Leaf piles can be used as nesting sites or the leaves might be taken by hedgehogs to use as bedding material in other locations. Overgrown corner. What a great excuse for leaving a it of the garden to do its own thing. Every Winter clever hedgehogs stay nice and cosy and avoid the rubbish weather by hibernating. This is a bit like a long sleep where their bodies use very little energy as natural food supplies are so low. Unless they weigh at least 450g before hibernating they need stay awake until Spring or risk not waking up. So do feed any skinny looking hedgehogs in Autumn. 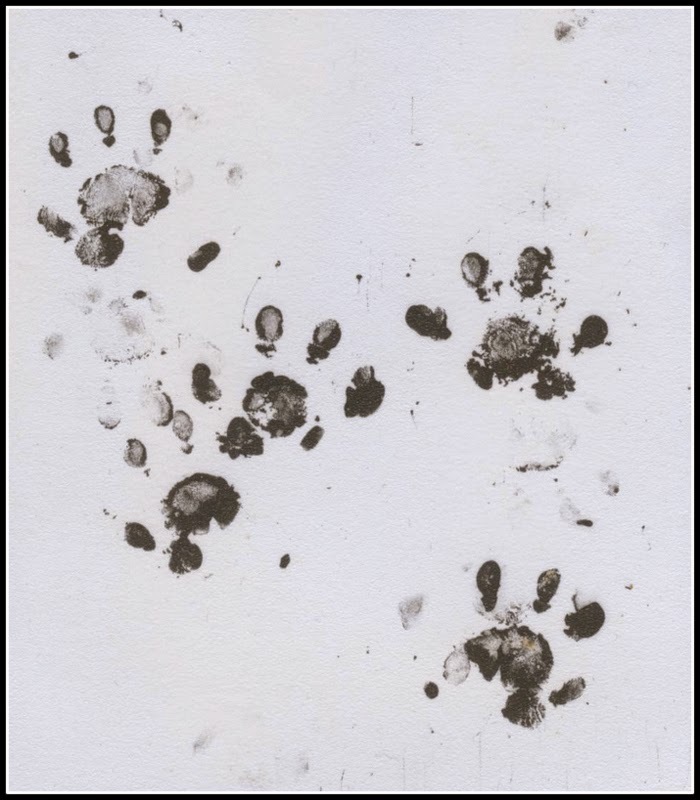 A good thing to feed them is cat or dog food and they also like a shallow dish of water. Cute toy hedgehogs can be made from items as simple as a bit of paydoh with some cocktail sticks or spaghetti for spikes. 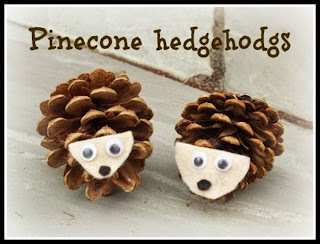 Or they can be made from fallen pinecones. 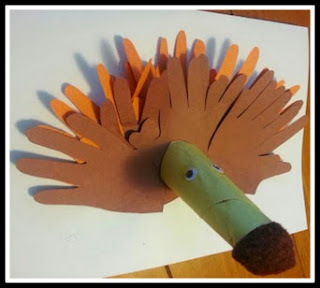 If you fancy doing a proper craft project then check out my blog from December 2013 where I used my own handprints to make the spikes on a very cute hedgehog. 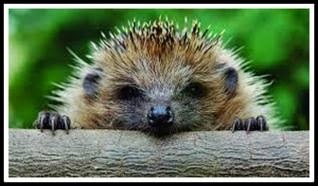 So let's all get involved and help out our prickly pals this Hedgehog Awareness week.